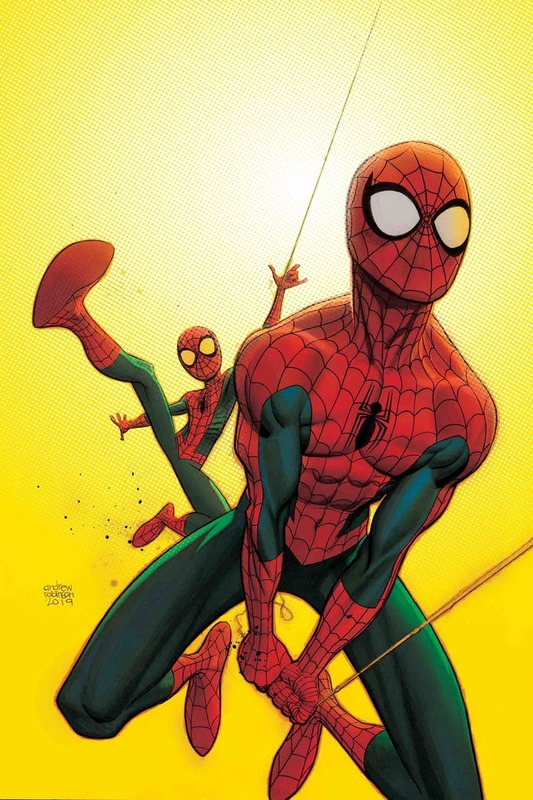 Marvel Comics Universe & May 2019 Solicitations Spoilers: Friendly Neighborhood Spider-Man Introduces Another Spider-Man This Time Named Spider-Bite?! Marvel Comics Universe and May 2019 Solicitations Spoilers follows. Friendly Neighborhood Spider-Man Introduces Another Spider-Man This Time Named Spider-Bite?! Solicitation below. • The neighborhood, and the planet, is doomed. Spider-Man is powerless to stop the end of the world. Only Earth’s Newest and Mightiest Hero, Spider-Bite, can save the day. Well, in Tom Taylor I Trust!